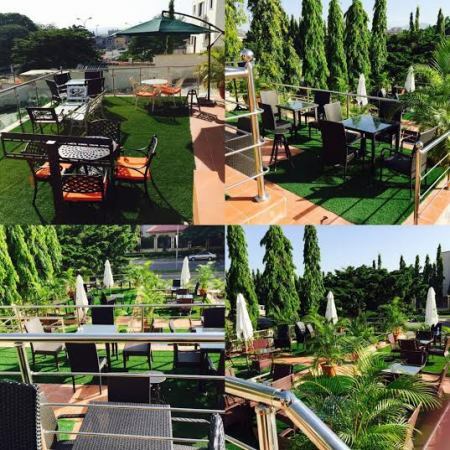 Wednesday the 3rd of November 2015, the City of Abuja witnessed the birth of Habit Bar and Grill situated in the heart of Wuse2, 170 Ademola Adetokunbo Crescent. Habit Bar and Grill is a well designed and tastefully finished open air bar bragging of adequate space and a serene environment to cater for hanging with friends, birthdays, intimate moments or just chilling with quality alcoholic and non-alcoholic beverages and well prepared and presented grills and meals. To commemorate the grand launch of HABIT Bar and Grill, guests from all facets of life, private business owners, civil servants, government officials and the general public will be in attendance. So if you are in Abuja, whether resident or just visiting, make it a habit to be at HABIT Bar and Grill… First off, today Wednesday November 4th.